With the onset of Internet of Things (IoT) technology, an enormous number of devices are now accessible via the Internet and are therefore vulnerable to cyberattack. Society is still adjusting to the fact that devices that people used to trust can now betray them in unexpected ways. Your television may expose your conversations, your printer may divulge your documents, and your fitness monitor may reveal your health information. All of these attacks become possible in the presence of IoT devices which are not designed with security in mind. System designers are trained to evaluate system design options in terms of their impact on system characteristics such as power, performance, and time-to-market, but security is a property which is less well understood. Designers of IoT devices need to have the ability to consider, both qualitatively and quantitatively, how design alternatives affect the security of the system. To do that, designers must understand the essential aspects of common cyberattacks. The nature of cyberattacks is broad and ever-changing as attackers alter their techniques over time. However, there are a number of attack themes which are fundamental to many cyberattacks and change only infrequently. Designers need to understand these important attack themes and how to defend against them. A good example is a vulnerability to a buffer overflow attack which is usually a result of weak coding practices, such as neglecting to verify that the amount of data written into a buffer is not greater than the size of the buffer. Defense against buffer overflow can likely be achieved through static code analysis and proper testing techniques, without the need to include any security components in the IoT device. Another attack against IoT devices is a battery draining attack which consumes power by exploiting features of the network communication protocol being used by the device. Different protocols, and their interface controllers, have different degrees of vulnerability to such attacks, and the system designer needs to be aware of this when selecting a communication protocol. This essay appears in Circuit Cellar 309, April 2016. Subscribe to Circuit Cellar to read project articles, essays, interviews, and tutorials every month! Defending against some attacks will require the use of software and hardware components which are dedicated to security-related tasks. Such components incur overheads which must be considered by the designer. A common example is whether or not to use encryption, what type of encryption, and whether that encryption should be implemented in hardware or software. Besides the power and cost trade-offs involved, the designer will need to be able to estimate how well each type of encryption protects the system from, for example, a man-in-the-middle attack which intercepts communications with other devices. IoT security is clearly an important design property which must be considered by designers who understand the complexities of cybersecurity. A problem for the field of IoT is that there is a shortage of IoT designers who understand cybersecurity. There is a range of possible solutions to address the shortage problem which vary based on who takes responsibility to find a solution. One alternative is education or training to ensure that designers are aware of the complexities of the security problem and can address them during the design process. 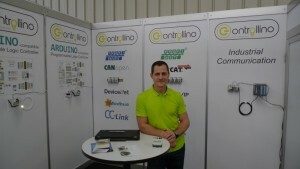 Individual IoT designers may take responsibility for their own training, which means that the designer will individually seek out learning materials and possibly courses. As a professor I feel that individuals should always take responsibility for their own education, but in practice this is difficult and may not consistently result in the best outcome for all concerned. An individual who is not familiar with security will have a hard time determining what is important to learn and what is not, so they may waste time and money on education with no real value. In my role as Vice Chair of Undergraduate Studies, I am frequently asked about what a student needs to learn to be productive in industry, but if an individual cannot find an appropriate mentor to provide them with some direction, then their attempts at education may not be fruitful. Another alternative is to place the responsibility for the development of secure IoT devices on the companies which employ the designers and sell the IoT devices. For this to happen, company managers must first accept that security costs money and that security is worth some expenditure. As long as security is seen as an overhead with no direct financial benefit, industry is not be motivated to make the necessary changes to build secure systems. Too often, security is largely ignored until a successful cyberattack against a company is publicized and the company suffers in terms of reputation and possible lawsuits. Industry needs to accept the importance of security upfront to avoid the more significant costs of dealing with successful attacks. Companies can take several different approaches to ensuring security including guaranteeing that their designers are appropriately knowledgeable about IoT security. A salary premium for security experts could motivate employees to take responsibility for their own security education. In-house corporate training can be provided to employees whose job responsibilities necessitate an understanding of security. Employers can outsource and pay for education at local or online schools. When a project is particularly security-sensitive requiring more expertise than is available internally, a contractor with the appropriate security expertise can be brought in. All of these options incur different costs which would need to be justified by the need for security in the market where the IoT devices will be used. Eventually, a mixture of these approaches should be employed to achieve the best, and most secure, results. 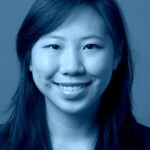 Individual designers need to make every effort to learn about security issues, and employers need to motivate them with appropriate salaries and facilitate their efforts by providing opportunities for education. The lack of security of current IoT devices has been used as an argument against their adoption, but there seems to be no stopping the growing use of the IoT. At the same time, cyberattacks are also growing in number, sophistication, and financial impact. Security needs to be a first-class design consideration for IoT systems, on par with cost, power, and the other constraints that embedded designers have always dealt with. The LTC7130 is available in a thermally enhanced 6.25 mm × 7.5 mm × 2.22 mm BGA package (RoHS lead-free and leaded SnPb (63/37) finishes). The E-and I-grades are guaranteed in the 40°C to 125°C operating junction temperature range. The 1,000-piece price starts at $7.95 each for the E grade. Infineon Technologies is collaborating with Beijing-based Mobile Payment Solutions Co. Ltd. (MPS) on a new plug-and-play NFC security module. The smallest module in the series measures only 4 mm × 4 mm, making it a good fit for wearable electronics. The MPS Boosted NFC security module series is well suited for wearable applications. At the core of the module is Infineon’s Boosted NFC Secure Element, which eliminates the need for the separate NFC controller that’s typically required with conventional solutions to utilize card emulation functionality in a device. The NFC antenna and antenna-matching components are included in the package, which reduces the PCB footprint by more than 75% percent (when you are using the smallest module of the series). Running on a standard Java security card operating system, the Boosted NFC security module allows for the flexible loading of multiple Java-based applications (applets) on smart devices. While the Boosted NFC security module is an excellent option for new product designs, you could easily integrate it into existing designs to extend functionality to include secure payment. The NFC security module’s main component is Infineon’s SLE78 security chip, which combines highest security performance with a storage capacity of more than 1 MB. This provides sufficient memory to securely store user credentials and run multiple applications, enabling a single device to replace a variety of cards (e.g., payment cards and public transportation tickets). SEGGER recently announced that its embOS real-time operating system now supports MicroEJ’s platform, thereby giving Java developers the ability to work on ARM Cortex-M based embedded applications. You get a complete Java platform with a virtual machine, which is a 32-bit processor that manages Java threads. It is executed as a task controlled by SEGGER’s embOS kernel . Thus, you get all the benefits of both ANSI-C and Java in a single embedded target. Developers can focus on their Java applications and do not need to have any deeper knowledge of ANSI-C. For more information about embOS’s support for the MicroEJ Platform, visit www.segger.com/embos-microej.html. Microchip Technology recently launched four low-power, highly integrated solutions that enable Wi-Fi and networking capability to be embedded into a wide variety of devices, including Internet of Things (IoT) applications. These four modules provide complete solutions for 802.11b/g/n and are industry-certified in a variety of countries. The new RN1810 and RN1810E are stand-alone, surface-mount WiFly radio modules that include a TCP/IP stack, cryptographic accelerator, power management subsystem, 2.4-GHz 802.11b/g/n-compliant transceivers, and 2.4 RF power amplifier. You can pair them with any microcontroller and configure them using simple ASCII commands. WiFly provides a simple data pipe for sending data over a Wi-Fi network, requiring no prior Wi-Fi experience to get a product connected. 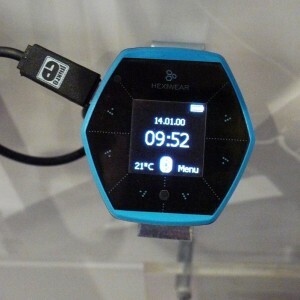 Once configured, the device automatically accesses a Wi-Fi network and sends and receives serial data. 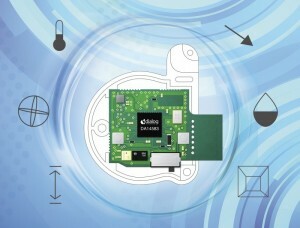 The RN1810 features an integrated PCB antenna. The RN1810E supports an external antenna. The new MRF24WN0MA and MRF24WN0MB are Wi-Fi modules that interface with Microchip’s PIC32 microcontrollers and support Microchip’s MPLAB Harmony integrated software framework with a TCP/IP stack that can be downloaded for free at www.microchip.com/harmony. The modules connect to the microcontroller via a four-wire SPI. They area an ideal solution for low-power, low-data-rate Wi-Fi sensor networks, home automation, building automation, and consumer applications. In addition, an MRF24WN0MA has an integrated PCB antenna, while the MRF24WN0MB supports an external antenna. The RN1810/E and MRF24WN0MA/B are now available and start at $13.05 each in 1,000-unit quantities. 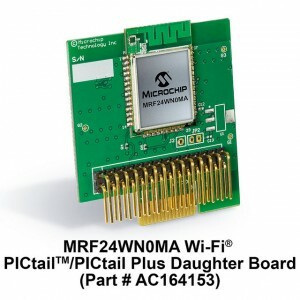 Also available is the $34.95 MRF24WN0MA Wi-Fi PICtail/PICtail Plus Daughter Board, a demonstration board for evaluating Wi-Fi connectivity using PIC microcontrollers and the MRF24WN0MA module (part # AC164153). In addition, a $49.95 RN1810 Wi-Fi PICtail/PICtail Plus Daughter Board is available today with a fully integrated TCP/IP stack and USB interface for easy plug-and-play development with a PC (part # RN-1810-PICTAIL). 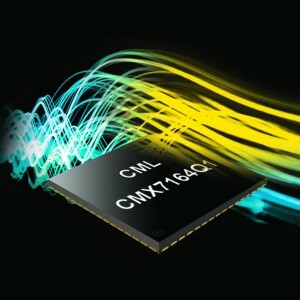 CML Microcircuits recently announced that it added Adaptive Coded Modulation (ACM) capabilities to its CMX7164 multimode wireless data modem, QAM modulation suite. ACM features enable the modulation type and block format to change on the fly to dynamically select data block size, coding rate, and CRC size. Over-air commands enable a Tx host to select an optimum modulation type and coding per burst to suit application message size and link channel quality. In addition, they can relax required Rx host parsing speed. SPI Thru-Port macros speed serial slave control for shorter Tx/Rx mode transitions. 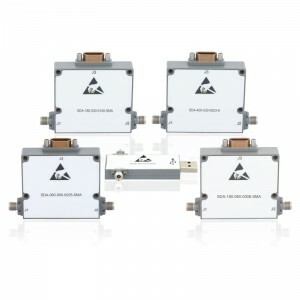 The CMX7164 covers constant envelope and linear modulation schemes, including GMSK/GFSK, 2/4/8/16-level FSK, 4/16/32/64-QAM, and V.23 to provide the ideal platform for customer-specific modulation schemes. Together these features make the CMX7164 a universal wireless data modem solution. The DE9941 demonstrator/evaluation board is available and enables the CMX7164, CMX994E Direct Conversion Receiver, and CMX998 Cartesian Feedback Loop Transmitter to be demonstrated. The CMX7164 is currently available, offering low-power, 3.3-V operation in small VQFN/LQFP packaging. TARGET 3001! combines the full schematic and PCB layout in one project file. Schematic and layout are always in a consistent state. An embedded PSpice simulator enables the modeling of the electrical function of the circuit eliminating errors early in the design phase. TARGET 3001! offers more than 38,000 components in a local MySql database. When placed on a server, an entire design team can simultaneously access the same component source. If a component is placed in a design, its drawing and all its properties still can individually be changed independent of the database. Most components are furnished with a 3-D model so that a PCB can be easily inspected in a live 3-D view. A STEP file import allows for the creation of custom 3-D models; the STEP export allows the 3-D printing of an exact model of your PCB with components. Besides XGerber and Excellon, TARGET 3001! provides a wide range of industry standard manufacturing formats. It also includes a tool for isolation milling, outputting the data in G-Code and HPGL. Open and save Eagle projects. PCB sizes up to 47″ × 47″ and an embedded front-panel designer make TARGET 3001! the perfect tool for high-end makers as well as development pros who want to move quickly from design idea to finished product. You can try a free version for double-sided projects up to 250 pins/pads at: www.target3001.com. 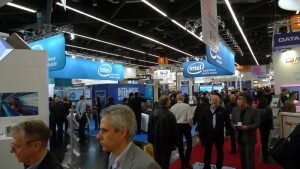 Posted in CC Blog, Product News	| Tagged Ing.-Buero FRIEDRICH, PCB, schematic, TARGET 3001! 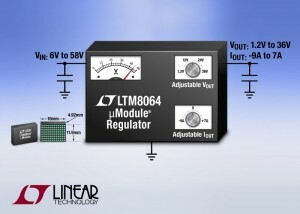 Linear Technology’s LTM8064 is a step-down DC/DC µModule (power module) regulator with a 6-to-58-V (60 VMAX) input voltage range and adjustable load current control with ±10% accuracy at 7 A. You can use it as a point-of-load step-down regulator operating from 24, 36, and 48 V voltage rails in test equipment, high-end computers, test equipment, avionics, and more. It also operates as a constant current source to precisely regulate and control (adjust) the load current up to 7 A when sourcing and 9.1 A when sinking. Among the applications requiring precision load current control are Peltier devices for cooling/heating and battery and supercapacitor chargers. 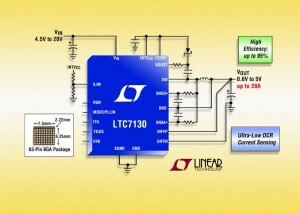 The LTM8064 includes DC/DC controller, MOSFETs, inductor, and supporting components. Two resistors, bulk input capacitors, and output capacitors are needed to complete the design. Housed in a 16 mm × 11.9 mm × 4.92 mm BGA package, the LTM8064 has an adjustable output voltage range of 1.2 to 36 V. The switching frequency is adjustable by one external resister from 100 kHz to 1 MHz or it can be synchronized to an external clock from 120 kHz to 1 MHz. Pricing starts at $16.50 each in 1,000-unit quantities. Advancements in technology mean that the dawn of a new era of robotics is upon us. Automation is moving out of the factory and in to the real world. As this happens, we will see significant increases in productivity as well as drastic cuts in employment. We have an opportunity to markedly improve the lives of all people. Will we seize it? For decades, the biggest limitations in robotics were related to computing and perception. Robots couldn’t make sense of their environments and so were fixed to the floor. Their movements were precalculated and repetitive. Now, however, we are beginning to see those limitations fall away, leading to a step-change in the capabilities of robotic systems. Robots now understand their environment with high fidelity, and safely navigate through it. On the sensing side, we’re seeing multiple order of magnitude reductions in the cost of 3-D sensors used for mapping, obstacle avoidance, and task comprehension. Time of flight cameras such as those in the Microsoft Kinect or Google Tango devices are edging their way into the mainstream in high volumes. LIDAR sensors commonly used on self-driving cars were typically $60,000 or more just a few years ago. This year at the Consumer Electronics Show (CES), however, two companies, Quanergy and Velodyne, announced new solid-state LIDAR devices that eliminate all moving parts and carry a sub-$500 price point. Understanding 3-D sensor data is a computationally intensive task, but advancements in general purpose GPU computing have introduced new ways to quickly process the information. Smartphones are pushing the development of small, powerful processors, and we’re seeing companies like NVIDIA shipping low cost GPU/CPU combos such as the X1 that are ideal for many robotics applications. To make sense of all this data, we’re seeing significant improvements in software for robotics. The open-source Robot Operating System (ROS), for example, is widely used in industry and at 9 years old, just hit version 2.0. Meanwhile advances in machine learning mean that computers can now perform many tasks better than humans. All these advancements mean that robots are moving beyond the factory floor and in to the real world. Soon we’ll see a litany of problems being solved by robotics. Amazon already uses robots to lower warehousing costs, and several new companies are looking to solve the last mile delivery problem. Combined with self-driving cars and trucks this will mean drastic cost reductions for the logistics industry, with a ripple effect that lowers the cost of all goods. As volumes go up, we will see cost reductions in expensive mechanical components such as motors and linkages. In five years, most of the patents for metal 3-D printers will expire, which will bring on a wave of competition to lower costs for new manufacturing methods. While many will benefit greatly from these advances, there are worrying implications for others. Truck driver is the most common job in nearly every state, but within a decade those jobs will see drastic cuts. Delivery companies like Amazon Fresh and Google Shopping Express currently rely on fleets of human drivers, as do taxi services Uber and Lyft. It seems reasonable that those companies will move to automated vehicles. Meanwhile, there are a great number of unskilled jobs that have already reduced workers to near machines. Fast food restaurants, for example, provide clear cut scripts for workers to follow, eliminating any reliance on human intelligence. It won’t be long before robots are smart enough to do those jobs too. Some people believe new jobs will be created to replace the old ones, but I believe that at some point robots will simply surpass low-skilled workers in capability and become more desirable laborers. It is my deepest hope that long before that happens, we as a society take a serious look at the way we share the collective wealth of our Earth. Robots should not simply replace workers, but eliminate the need for humans to work for survival. Robots can so significantly increase productivity that we can eliminate scarcity for all of life’s necessities. In doing so, we can provide all people with wealth and freedom unseen in human history. Making that happen is technologically simple, but will require significant changes to the way we think about society. We need many new thinkers to generate ideas, and would do well to explore concepts like basic income and the work of philosophers like Karl Marx and Friedrich Engels, among others. The most revolutionary aspect of the change robotics brings will not be the creation of new wealth, but in how it enables access to the wealth we already have. 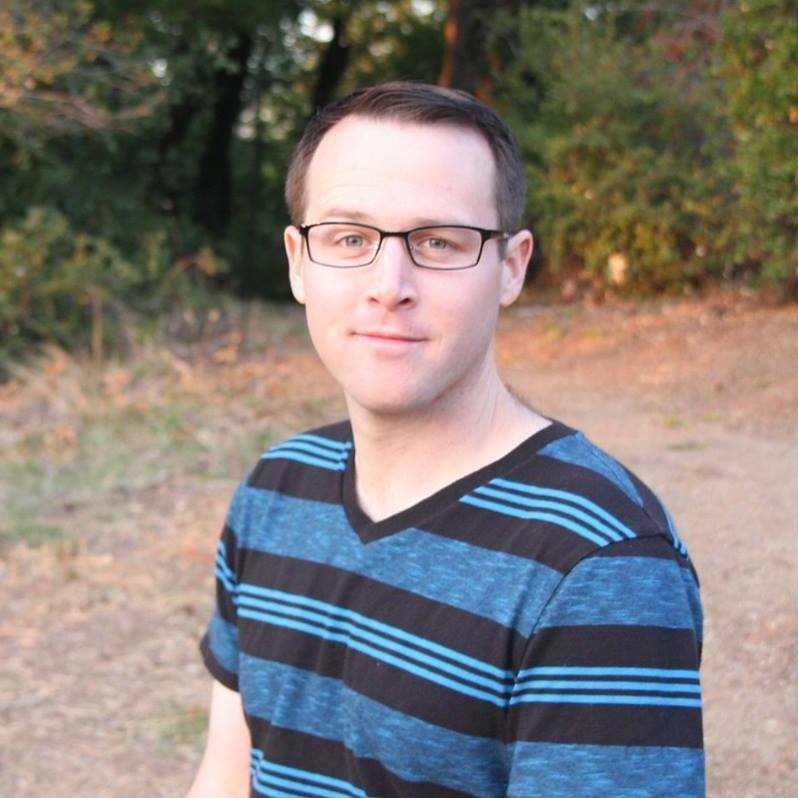 Taylor Alexander is a multidisciplinary engineer focused on robotics. 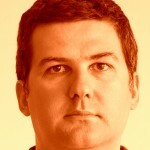 He is founder of Flutter Wireless and works as a Software Engineer at a secretive robotics startup in Silicon Valley. When he’s not designing for open source, he’s reading about the social and political implications of robotics and writing for his blog at tlalexander.com. This essay appears in Circuit Cellar 308, March 2016. 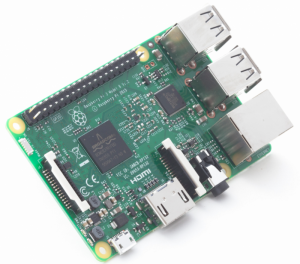 The Raspberry Pi Foundation recently announced the availability of the Raspberry Pi 3, which is a $35 credit card-sized computer that is about 50% faster than the Raspberry Pi 2 and has around 10× the performance capabilities of the Raspberry Pi 1.